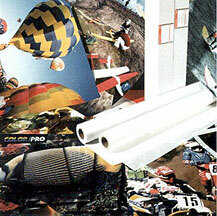 All Oce Plotter Films, Vellums and Bond Papers reflect 88 years of sering engineers and architects. Inselecting any of these products, you can be assured of recieving the finest media in its class. It is the heavy duty sheet in our drafting vellum line, with all of the fine ualities of the Oce 5000 series. 20.5-lb. 100% rag cotton base, medium-toothed, mobile resin. Recommended for rough handling situations. This very durable sheet prints at the same speed as our 5000 medium weight sheet. Clearance 75% while supplies last.